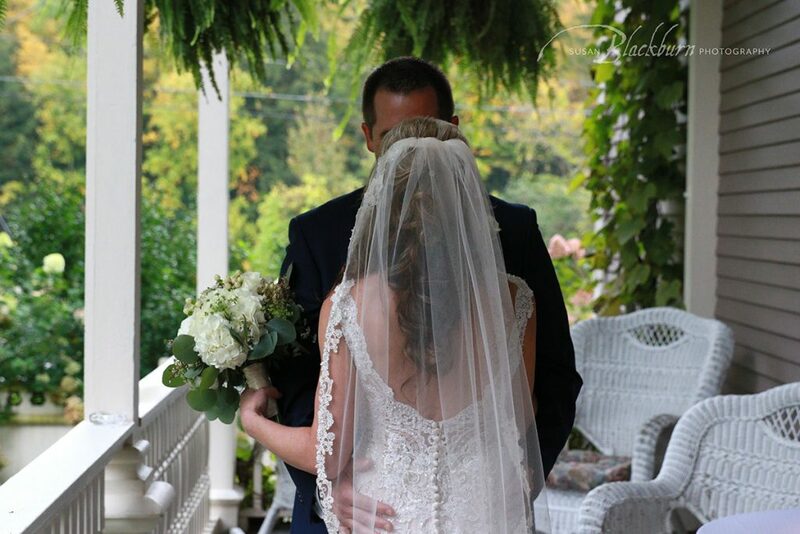 October is the busiest month for Wedding Photographers here in Saratoga Springs NY. Fall is so popular here because we have cool, crisp air and vibrant fall colors. While I really should be blogging more, I just have not had the time due to shooting and editing some really glorious weddings. 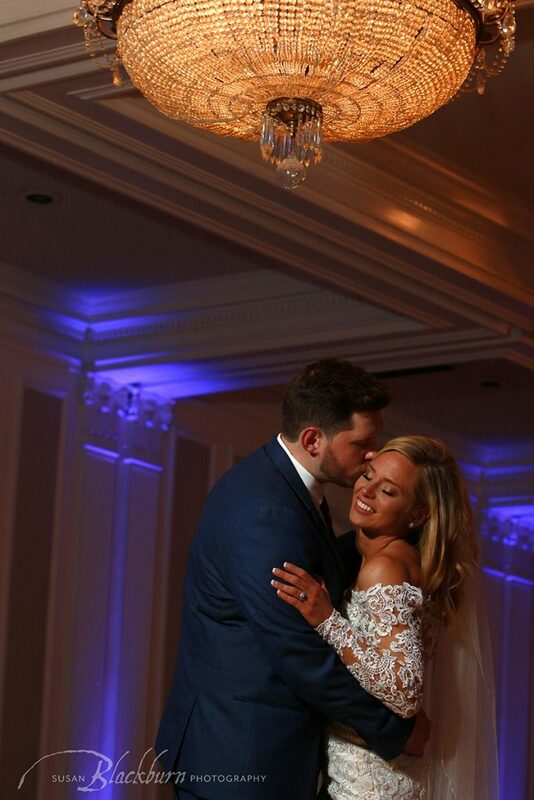 So instead of sharing every single wedding I have shot this fall, I have decided to just share some of my favorite wedding photos of some of my great couples. Zach and Shannon got married at the Dance Museum in Saratoga Springs this past September, kicking off my fall weddingseason with a bang. 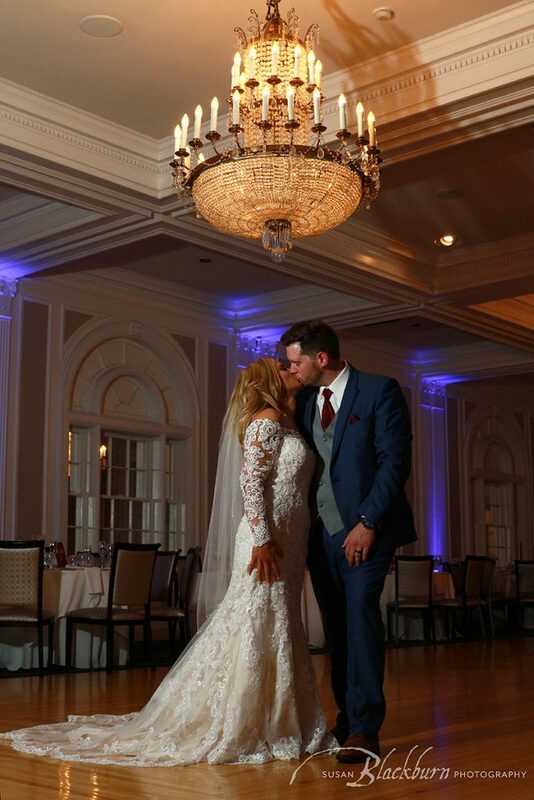 We went downtown after their ceremony because the couple met at Max London’s and downtown is special to them. Natural light on a street corner in downtown Saratoga Springs, NY. 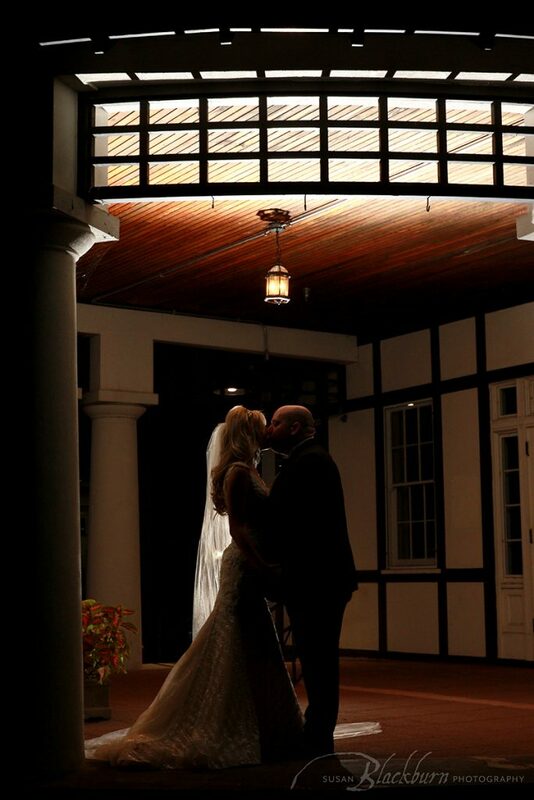 When we headed back to the Dance Museum, I captured a night shot outside in the portico. 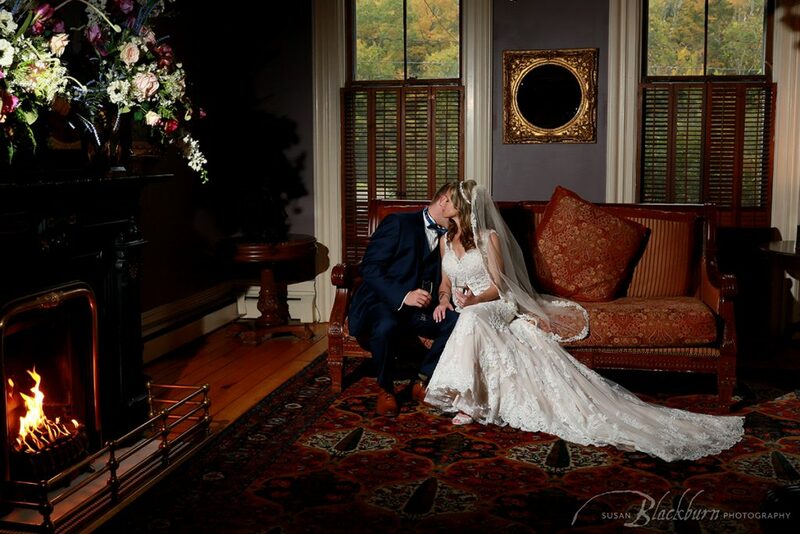 I photographed Jen and David’s wedding at the historic Mansion in Saratoga NY. First look on the porch at the Mansion Saratoga. First Look is a great idea if the wedding ceremony is later in the day but you still want some outdoor photos. It was pretty rainy, but it was not a problem because the Mansion has some great indoor locations. And I love the dress Jen chose–so pretty! 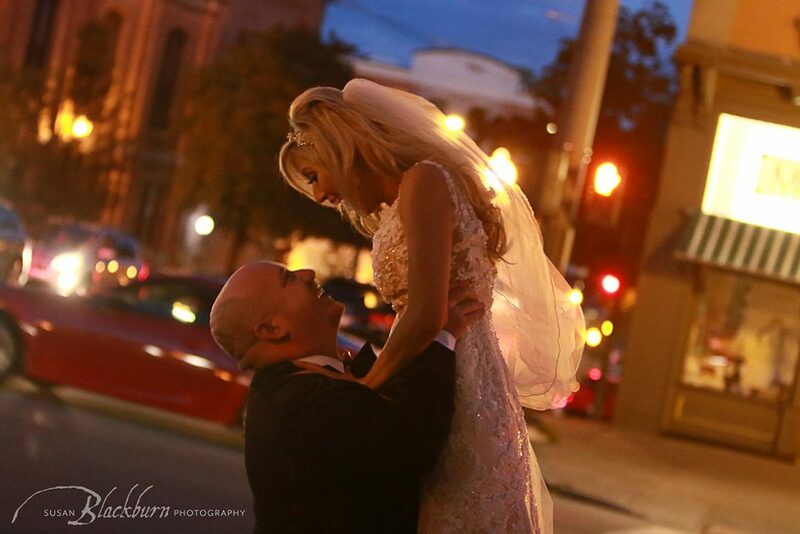 Carli and Ron held their reception at the Queensbury Hotel in Downtown Glens Falls NY. The building has been recently restored to it’s original grandeur and beauty. Stacy and Scott were a really fun couple to work with. They also had a rainy day, but we did manage to get some outdoor photos on the property of the Mansion. Final photo of the barn at the Mansion. 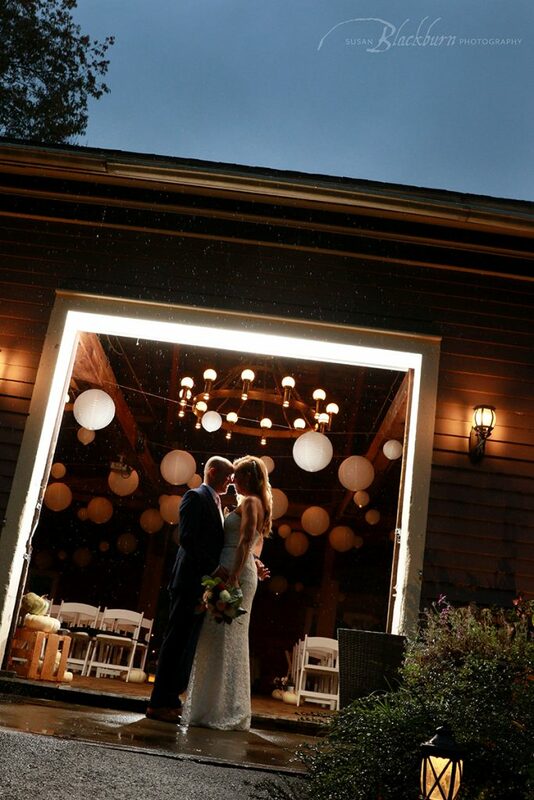 Stacy brought and installed those fun lanterns in the barn herself. If you look closely, you can see the raindrops! We have several more weddings this month that will also be lovely, so be sure to check back in to see those as well! 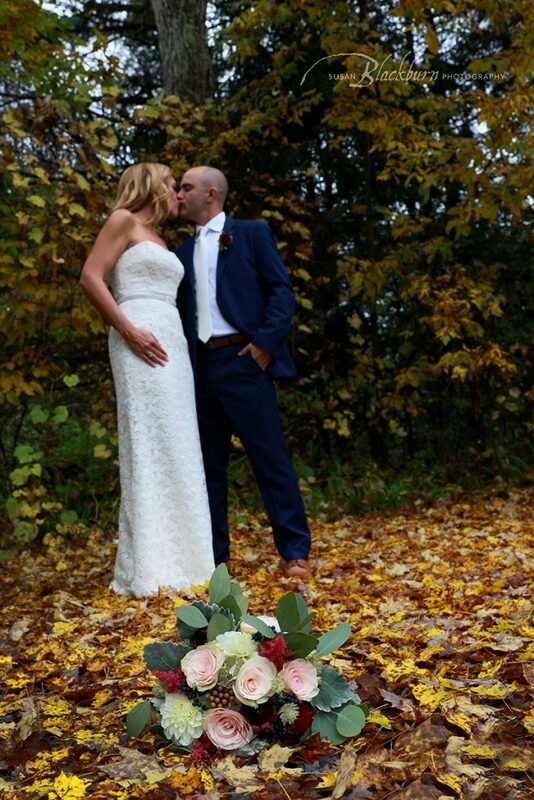 Did you enjoy this post on Fall Weddings in Upstate NY? You might also enjoy this wedding post. Are you ready to book a wedding photographer for your wedding day? Please call us at (518) 584-4237 or use our Contact Form to schedule a consultation. I would love to photograph you! My goodness! You've got some fabulous locations for New York weddings! I especially love the last one of the couple in the doorway. Beautiful work! Thanks so much! Yes, we are very fortunate here in Upstate NY. We have some amazing venues! Great work as always Susan. Hurray for autumn in upstate NY! These are beautiful. I love the variety between indoor and outdoors since weather can be unpredictable at times!